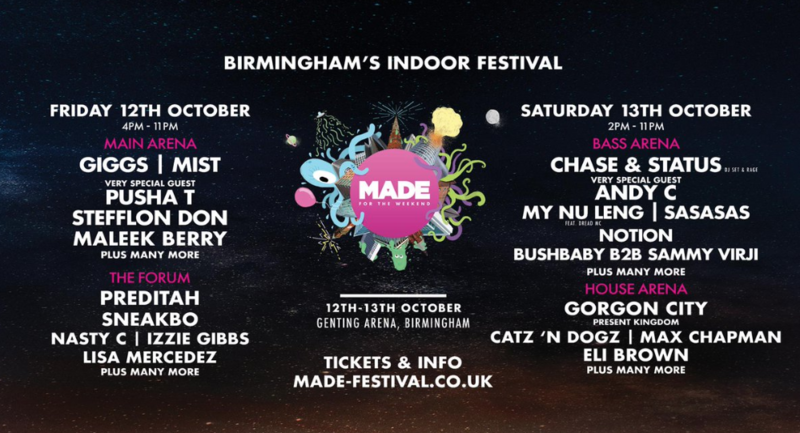 After a sell out edition of MADE Festival, the team behind the event are now expanding. MADE have joined forces with AEG to create MADE For The Weekend. It will be held at Genting Arena on Friday 12th and Saturday 13th October.